THOUGHTS & REFLECTIONS ON THE FUTURE OF OUR STRUGGLE. Questions by Sebastián Vera. Originally published in Identitas Quarterly, vol 2. Spanish version. Your first works in the politically incorrect movement were about the conservative revolutionaries of the past century. In which way do you think that the ideas and principles of the German Conservative Revolution can work as a weapon against the globalizing Liberalism considering the actual social, economic and political context? Conservative Revolutionary thought is useful primarily for our intellectuals, meaning those who dedicate themselves to studying and analyzing philosophy and ideas in depth, and utilize this to challenge opposing (Liberal and Leftist) intellectuals and also to convey the essential ideas to common people. It is in this way that the concepts of the Conservative Revolution can serve us in combatting the power of Liberalism; as a tool to more efficiently challenge liberalism on the intellectual and academic level. The philosophers of the German Conservative Revolution had an important role in advancing Right-wing thought in the 20th Century, and their ideas influenced many thinkers after them, including those of the New Right. 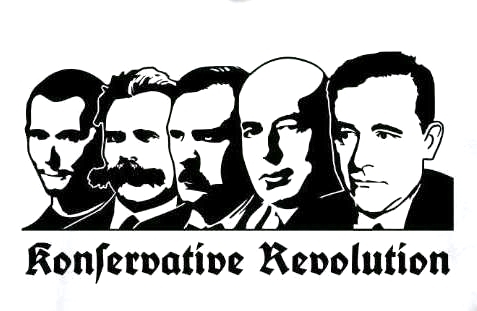 There is a great diversity of ideas among the Conservative Revolutionaries, and their works encompass a large array of topics, including the nature of cultures and peoples, ways of understanding political systems (such as democracy, monarchy, fascism, etc. ), economic plans of the Third Position such as corporatism and nationalistic socialism, the philosophy of Life, and so on. There are many similarities between the Conservative Revolutionaries which allow us to classify them as such, but the radical disagreements they sometimes have is actually what allows an observer to enrich and expand his own way of thinking and thus also enables him to confront opponents better. To truly benefit from the Conservative Revolution, it is not enough to read only the ideas of, for example, Arthur Moeller van den Bruck, one must also consider the ideas of Carl Schmitt, Edgar Julius Jung, Ludwig Klages, Hans Freyer, etc. However, it is also important to remember that there is much in Conservative Revolutionary thought that is erroneous or disagreeable to us, and therefore it must be examined with a critical eye. For example, we know that some representatives of the Conservative Revolution were also what we can call “Radical Traditionalists,” including Othmar Spann and Edgar Jung, both of whom are comparable to Julius Evola. Such thinkers are clearly useful for the development of Right-wing philosophy, but they must be viewed critically because much in their thought is disagreeable. For example, they have largely reactionary cultural views and also reject democracy in favor of old-fashioned monarchical and aristocratic systems. However, we know that such views have already been adequately criticized from a Right-wing perspective by New Right intellectuals such as Alain de Benoist and Guillaume Faye. What do you understand by “identity” and “nation”? “Identity” is actually a very generic term, and can refer to individual or personal identity as well as collective identity. Collective identities can be based on any type of group with which a person can identify with or belong to, such as political, religious, or cultural groups. Of course, Identitarians like myself are primarily concerned with group identities, how these affect people, and in what way they should be valued. Ethnic, cultural, and racial identities have always been of great importance in human societies and strongly affect how people understand others. Of course, these types of identity have two dimensions: inherited or involuntary identity, and conscious identity. In many modern states where ethno-cultural and racial identities are being diminished due to egalitarian and universalist ideologies, our challenge is to awaken these identities in people; meaning, to create or renew their conscious identification as a members of cultural and racial groups. 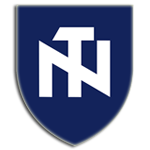 Concerning the idea of “nation,” this term can be problematic because of conflicting definitions. One typical understanding of nations is as “civic nations,” in which “nationality” is defined solely in terms of citizenship, dissociated from culture or ethnicity. For ethnic nationalists, a “nation” is first and foremost defined by the shared ethnic and cultural background of the people who compose it. Therefore, for ethnic nationalists, a purely “civic nation” is actually not a nation at all, because citizenship does not define nationality, which is instead understood on ethnic terms. This can also be further complicated by the fact that many nationalists also identify with their nation as a state under which their ethnic group lives, and thus both the political as well as the cultural principles of nationality are combined. In your last article you show yourself as against of what is understood as Nationalism in a classic sense, and in favour of Identitarian movements, the ones that many times go hand in hand with separatism, although for you this is the authentic Nationalism. How would you answer to the critiques done to ideas like this by nostalgic patriots? Many nostalgic patriots who oppose Identitarian separatism tend to support maintaining the status of their nation-state despite divisions in ethnic and racial type among the citizens. Essentially, such people end up supporting the state as an artificial political unity, ignoring the reality or importance of differences among the peoples within that state. All throughout history, ethnic and racial identity has had powerful consequences on states and relations between peoples, and there is no doubt that in the coming future states these identities will once again become factors that strongly affect political states, regardless of the efforts of our opponents. Also, it is important to recognize that the era of the nation-state has passed away. As Benoist has often asserted, we live in a time when the nation-state is no longer able to address most of the larger, more international problems that face humanity, and people are increasingly recognizing the importance of international or supranational connections. On the other hand, there are also some people who are problematic because they are old-fashioned nationalists who do not want to recognize any cultural entities outside of the “national” form. Meaning, that they deny the importance of sub-national differences (the sense of belonging to regional cultural or sub-ethnic groups) and also supra-national cultural relationships (larger cultural unities encompassing several similar ethnic groups). Such people are simply struggling to maintain an erroneous, rigid, and outdated concept of cultural identity, and one which is not even supported by either Identitarianism or Traditionalism. What made you write about nationalism not in a classical way, but in Identitarian terms? I had chosen to address nationalism on Identitarian terms because over time, as I studied the arguments of both advocates as well as critics of classical nationalism, I increasingly realized that nationalism as we have seen it in the 19th and 20th centuries was a very flawed idea. Old-fashioned nationalism is simply incapable of recognizing the complexity and complications of ethnic and cultural identities, just as it is incapable of moving people in an age where supra-national connections of all sorts – cultural, political, economic – are becoming increasingly important. To me, only the Identitarianism of the New Right has successfully recognized how identity needs to be seen and how to solve the problem of globalism. In terms of the Identitarian fight, should there exist different strategies for European and American countries? Which could be they? The essential ideas – about ethnic and racial identity, the rights of the peoples, federalism, democracy, etc. – should remain the same as what we see among Identitarians in Europe. I think that many of the same strategies, such as the street activism for which the French Identitarians are famous, should also be used, considering that they have had some success. However, there are two major points on which there should be differences: Firstly, Identitarians in the Americas need to appeal to the history of their respective countries. For example, Argentinian Identitarians would have to appeal to historical personalities in Argentina. Of course, the history of other nations, both in Europe as well as the Americas, can have people and movements that are inspiring to foreigners. The second difference should be on the matter of how non-white peoples are dealt with. For example, Amerindian and mestizo peoples cannot be removed from lands that they have always lived on or which they live on in large numbers. In Europe, immigrants foreign to the White-European race are mostly recent, and it is justified to argue that they should simply be deported from the European continent and back to their land of origins. The same cannot be said for American nations, where it is better and more reasonable to grant separate territories to non-white peoples within their borders, where they can live either in autonomous regions as part of a federation or as an entirely separate states. From a racial point of view and considering the relationship between race and State (and its institutional character), do you see any relation or similarity between the case of USA and Latin American countries? Historically, there are many similarities: both the United States as well as many Latin American nations have once practiced race-based slavery as well as class structures of separation or segregation based on racial type. The class systems have also oftentimes left white families in wealthier positions than most non-white families, although there are obviously many wealthy non-whites as well. In modern times, they are similar in the sense that many Latin American governments support multiculturalism or multiracialism similarly to the USA. However, to observers like myself, who have lived in the United States for a long time but are of foreign origin, it is evident that many Latin American peoples (both whites and non-whites) currently have stronger ethnic and racial identities than people in the United States or Canada, where identities have become even more weak and confused than in most other places in the world. Latin Americans are therefore more positively inclined towards nationalistic or identitarian ideas and practices, even though these tendencies are oftentimes not put into practice – politically speaking – because of the power of liberal-egalitarian political systems (which thus ultimately betray the people who live under them). How do you understand European identity in Latin American countries like Chile? How could be this identity expressed? In the majority of Latin American nations, there is obviously a very strong influence of Spanish culture, with some exceptions (most importantly, the Portuguese influence in Brazil), although there is, of course, also influence from other European cultures as well, including Italian and German. European identity in Latin America can therefore easily be expressed by reference not only to Spanish culture but also numerous other European cultures. However, from my understanding, the culture of the majority of Latin Americans is very strongly Southern European in nature, despite influence from Northern European peoples. It is for this reason that Latin Europeans (such as Italians, Portuguese, and obviously Spaniards) find it much easier to relate to Latin Americans than they can relate to Anglo-Americans in the USA, just as Latin Americans normally can more easily relate to Latin Europeans. This is why I personally believe that White-European people in Latin America should primarily express themselves as white “Latin” peoples and root their identity in the Latin European heritage, although this does not mean that they should ignore the value of Northern or Eastern European culture and heritage. I would also like to mention here that there is a very important problem in Latin America regarding racial identity: the relationship between whites and mestizos. I have written before that race is not defined by a strict purity, so to be part of the White-European race is defined not by possessing pure European blood, but rather by having the general appearance of the white European racial type and a mostly European cultural background. For this reason, people who are mostly white but have a small amount of Amerindian blood, basically look white-European racially, and also have Spanish/European culture and identity – such people should be regarded as being members of the White-European race, despite having some partial mixture. Mestizos who look very different from white Europeans and have a mixed European and Amerindian cultural identity must be regarded as racial foreigners. Of course, many such mestizo peoples have a partly European identity because they have both European blood and culture, and in some Latin American nations (such as Mexico) stable mestizo peoples have formed, who have a mixed European and Amerindian identity. Because of their more European character, we can relate to these peoples better than we can to more foreign non-whites, but they still must be regarded as separate peoples from us, ethnically and racially. Do you see mixture between different ethnic groups from the same race as normal or abnormal as mixing with other racial groups? Why? Mixing between ethnicities of the same race is not abnormal because it has happened very frequently throughout history. There are numerous cases where two or more racially similar ethnic groups lived side-by-side and felt no impulse to enforce separation, and intermarriages occurred between members of these different ethnicities. We also know that many European ethnicities are actually the result of a large-scale inter-European mixture that occurred at some point in history, including the English, the French, the Italians, the Spanish, the Greeks, the Romanians, and so on. If we investigated, we could also find such examples within non-white races as well. Of course, ethnic groups of the same race do not always mix, and it is perfectly natural for them to have a will to separate as well. In contrast to mixing between racially similar ethnic groups, there is a justification to consider race-mixing to abnormal despite the fact that it also occurs throughout history. Different races have always had a tendency and instinct to separate when they encountered each other, due to the fact that they cannot relate to each other as well as peoples of the same race can, and we know from investigations that in most ancient societies upholding racial heritage was valued. According to the Argentinian author Juan Pablo Vitali in Latin America occurs a phenomenon that has not happened on a spontaneous way in Europe, that is that European descendants don’t recognize themselves after a few generations as, for example, Spaniards, Italians, English and so on, but as Europeans. Do you think that from this ethnic (but intra racial) and cultural interaction can arise a white identity for the white minorities of Central and Southern American countries? Yes, because of the mixture of different European ethnic groups in South America, people oftentimes no longer identify with a single European ethnic group but with Europeans in a more general sense. However, as I mentioned earlier in this interview, my understanding is that the most dominant cultural influences come from Southern or Latin Europe (especially Spanish, Italian, and Portuguese culture), despite influence from and mixture with non-Latin Europeans such as Germans or English. I am well aware that there are some cultural differences between Latin American nations, but I am speaking in terms of the general cultural character. In this sense, all of Latin America is very different from Anglophone colonial countries where similar mixtures have occurred – such as the United States – which are essentially of a very non-Latin character. For this reason, I believe that white-European identity in Latin America will be characterized mostly by a reference to Latin European heritage, even though other heritages, such as German, will also sometimes be related to. In European countries, will it be necessary to solve the roots of their problems just to remove Liberalism in all its forms from its hegemonic position or is there also required a separation of them in several ethnic Identitarian territories? The victory of Identitarianism will necessarily coincide with the separation of ethnic groups into different autonomous regions, wherever ethnic groups feel the need to live separately. Of course, there are places where people of different ethnic origins who are already partly assimilated into the dominant culture, have socially mixed with each other, and no group feels the impulse to separate; in such cases there is no need for separatism. There are many examples in our history when Europeans of a certain ethnic background entered the society of a different ethnic group and ended up assimilating. In terms of separation, there are also examples in Europe where different ethnic groups lived peacefully under same state but in separate communities (for example, Austria and Switzerland). Now, let’s talk a little about current politics affairs. The Russian President Vladimir Putin proposed four years ago the conformation of an economic European community from Lisboa to Vladivostok. Do you think that this idea is a feasible way to overcome the Jacobin concept of “State” and “nation”? I do not believe that creating an economic interrelationship is a sufficient way to overcome what some call “national egoism,” which is a consequence of Jacobin-style nationalism. It is true that modern liberalism has largely overcome or at least diminished the power of the nation-state, but this was not accomplished solely through the spread of liberal economic policies, but also by the political and social force of liberal and universalist ideology. On our part, the unity of nations will be accomplished not by an attempt at a purely economic unity, but by a political unity through the creation of a grand European confederation, or at least a system of alliances between European nations. It is also important that people learn to recognize the cultural and racial relationships between different European peoples in order to overcome the simplistic perspective where only national culture is recognized. Do you think that the growing influence of Russia plus a closer cooperation with countries such as Germany could be a step towards the conformation of the federal Europe you write about? It seems possible that Russia’s influence may actually help Identitarianism and pan-European federalism succeed, particularly because the Russian government has a type of hard conservatism as its official position, and it is sympathetic to some Right-wing movements. This is something that we all hope for. However, I think it needs to be remembered that the Russian state is not Identitarian, and we need to be wary of the Russian government because it has actually suppressed many nationalists and Right-wing groups within its own borders. Russia could very well be an ally of future Identitarian states in Europe or abroad, but it needs to abandon any imperialist intentions and preferably develop a more Identitarian government of its own. As it is right now, we cannot know what the future holds in regards to Russia. This conversation is arriving to its end, so please tell me, which inclination will your next works take? What subjects will you write about? What projects do you have in mind for the near future? Well, I still have the impression that it is necessary to clarify and explain New Right and Identitarian ideas, so I expect that I will write more on these matters. Of course, this is largely for Anglophone countries and other European nations where a translation of important New Right works is lacking. This is not the case with Hispanic countries, because many of the most important works of the major New Right authors, Alain de Benoist and Guillaume Faye, have already been translated into Spanish and certain New Rightist Spanish authors have also written very good explanations of New Right and Identitarian thought (I am thinking especially of Sebastian J. Lorenz, Rodrigo Agulló, and Carlos Pinedo Cestafe). It is the opposite situation in the English language, where too much remains un-translated and overviews of New Right thought are still incomplete and sometimes even untrustworthy. Of course, any essays on the New Right and Identitarianism that I will write in the future may still be useful for Hispanic Identitarians such as your own group, and I imagine you will want to translate them. I may also write about other Right-wing movements and thinkers, including Conservative Revolutionaries and other ethnic nationalists, whose ideas and history I have also spent time studying.